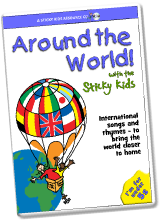 International songs and rhymes to bring the world closer to home and to increase children’s awareness of our multi-cultural world. Song introductions give a short insight into each country. 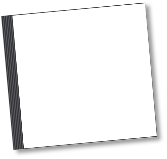 Songs and rhymes from France, China, Africa, Italy, Scotland (Gaelic), England, Ireland, Israel, America and India. 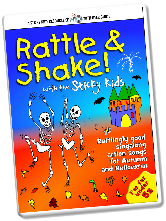 22 autumnal tunes and rhymes to make the scariest and most wonderful traditions lots of fun. The material is organised into three themes - Hallowe’en, Fireworks and Autumn and Nature. Building bonfires, singing skeletons, falling leaves and hibernating hedgehogs are all part of autumn. 26 catchy and hilarious songs and rhymes about food and fitness. 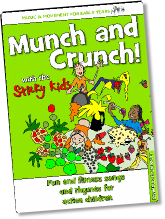 On "Munch and Crunch" Sticky Kids songs offer another delicious ingredient: a tasty message about healthy eating! 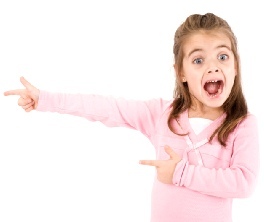 The kids will be asking for more, more, more…. Yummy! 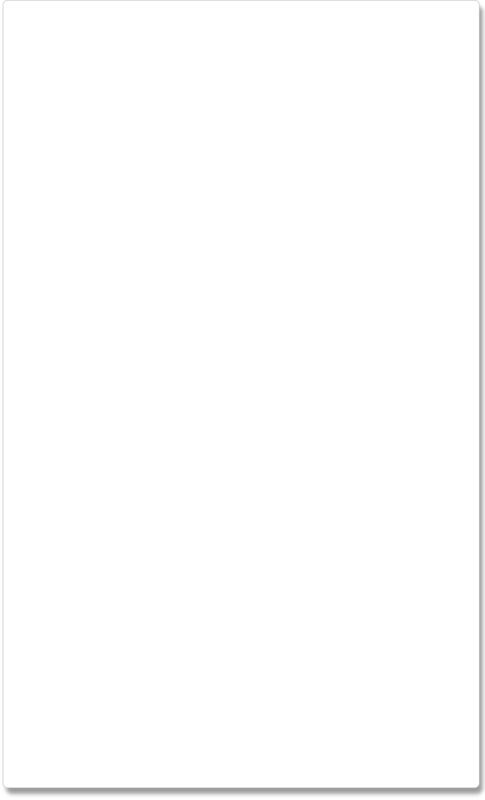 This is active learning. 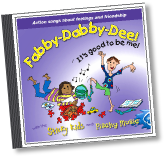 16 songs to explore feelings, self-esteem, bullying, going for goals and other themes for personal and social development. 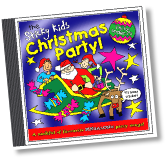 This tried and tested singalong CD is a must for the festive season. Go for a trip on Busby Red or try joining in the actions for Mine's A Cornet Please! 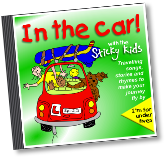 A selection of 17 songs, rhymes and stories relating to travel and transport.